"I can’t recall the last time when I stayed all through an event and enjoyed it this much". When Rawan Istetieh summarised her evaluation of the MDI Amman event, our representatives already knew a thing or two about her: a reckless fighter for Human Rights, one of the loudest gender-equality campaigners, one of the pioneers in combating child cyber bullying, an enthusiastic footballer and a woman behind the establishment of the first ladies’ football club in Jordan. Rawan does not hide her feelings about any of the issues close to her heart. Neither does she restrain from challenging the MDI representatives on any of the issue discussed over a 4-day event. It seems we scored well. We made Rawan happy. 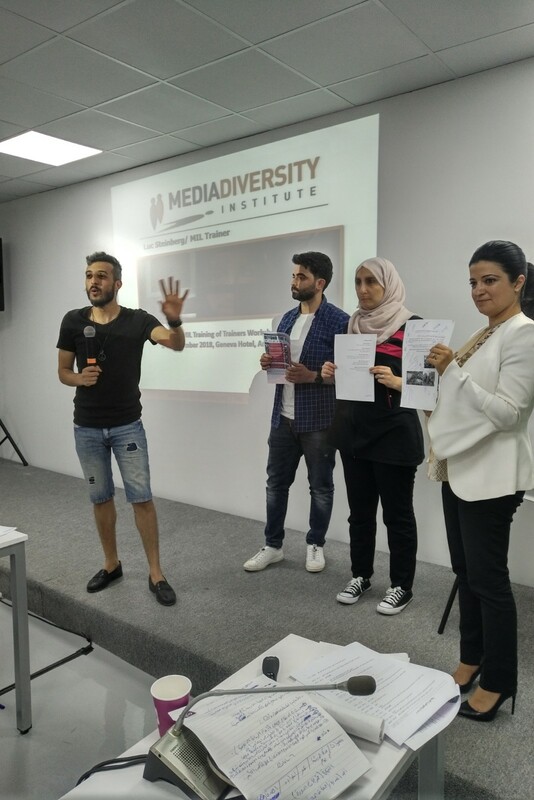 Rawan Istetieh, from Amman-based NGO Darabzeen for Human Development, was talking of MDI’s first Media Information Literacy (MIL) Workshop held in partnership with UNESCO Jordan, September 2-5 in Amman. The main objective of the event was to build the capacity of civil society organizations’ representatives on Media and Information Literacy (MIL), enabling them to develop MIL competences, to critically use the available media tools and – most importantly - to pass on their newly gained knowledge and skills to their peers. 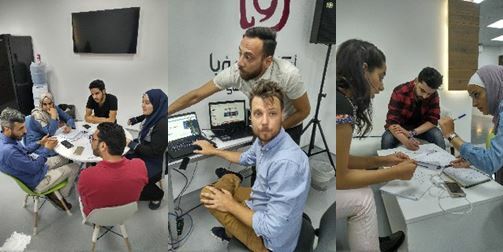 “We were really lucky to have such warm, enthusiastic and talented participants including film-makers, journalists and web developers”, says Lucien Steinberg, one of the MDI trainers. “Their unique skills in these fields and their considerable experience in working with young people will serve them well as they go on to develop their own MIL training programmes." The topics covered by the workshop varied from the importance of asking questions to how to deal with cyber bullying and hate speech to debunking disinformation and propaganda and use of digital tools for storytelling. Special attention was paid to media ownership, copyright, net neutrality, and privacy. 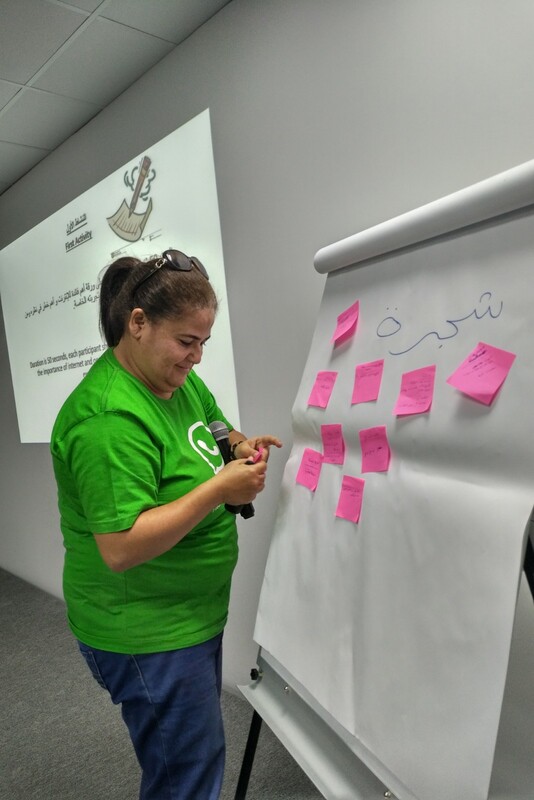 Anoud Al Zoubi, MDI local trainer and journalist by profession, spotted high engagement by participants too. “Their enthusiasm was obvious from their questions and from their excitement to start conducting trainings for their colleagues and community members in different topics in the MIL field in the near future.” This was the precise reason why UNESCO Jordan, the MDI partner for this project, insisted on post-workshop coaching for the participants. The 15 representatives, mainly from youth and human rights NGOs from across Jordan, will successfully complete their own MIL work. 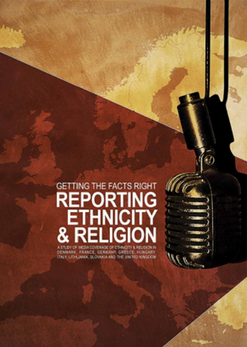 “Many people often get the impression that media literacy is only about fact-checking and 'fake news', so we tried to demonstrate the breadth of media literacy topics including issues to do with ethics, diversity and representation, which our MDI experience shows are among key MIL competences. We are pleased the workshop is only the start of a more complex programme to create a hub of youth MIL experts in Jordan”, says Milica Pesic, MDI Executive Director. The seven best ideas developed by the participants will receive professional and technical support from both MDI and UNESCO, whose projects are funded by the EU, Canadian Government and the UN Office of Counter-Terrorism.